Are you ready for #StarWarsDay? 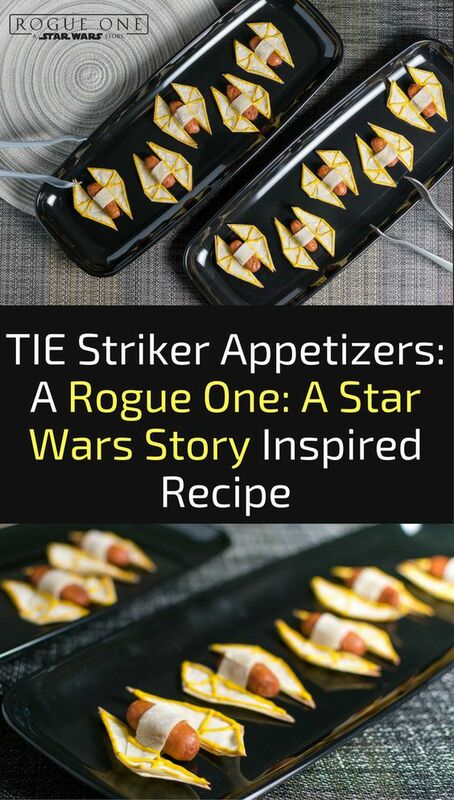 Celebrate Star Wars Day with an AWESOME party your friends will never forget! 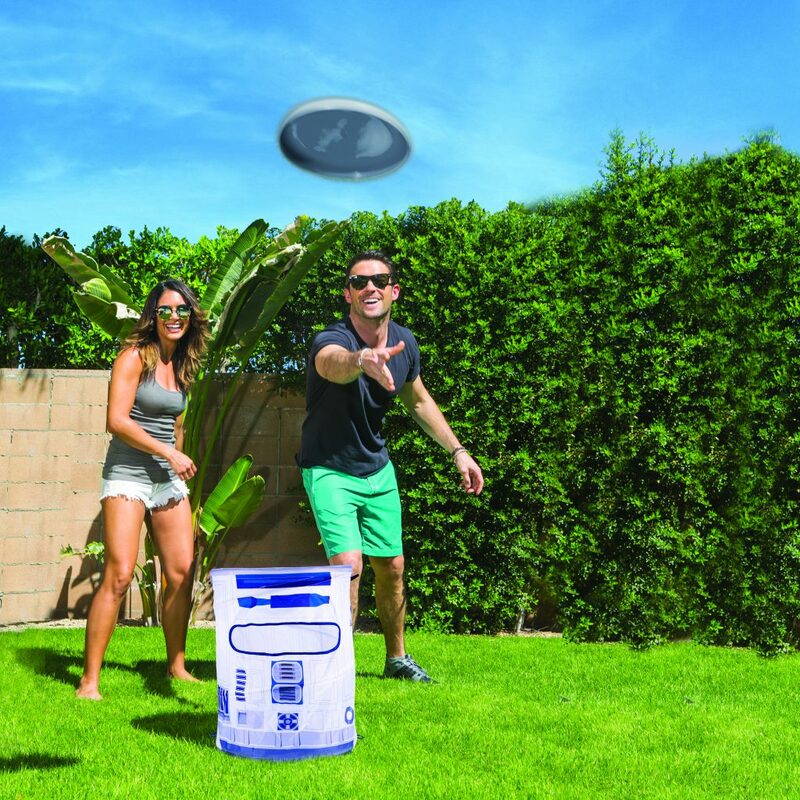 We’ve got everything you need right here, from cool Star Wars-themed pool items to Star Wars-themed food that’ll blow your guests away! The great thing is, you can cater this party to any age- because kids AND adults both love Star Wars. Go all out! Set the mood by playing the Star Wars sound track and begin the afternoon with some light snacks like this party favorite that’s got a Star Wars twist! 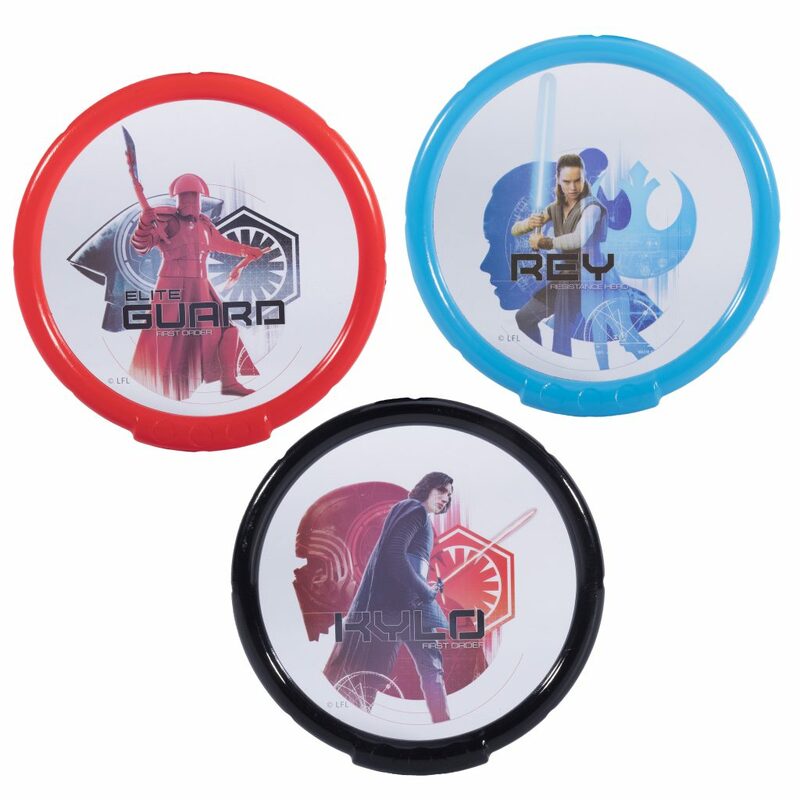 As your guests continue to arrive and get to know one another, warm everyone up with a tournament featuring any combination of these awesome Star Wars yard games: Kelsyus Bocce Ball, Bean Bag Toss, and Spring Slam! 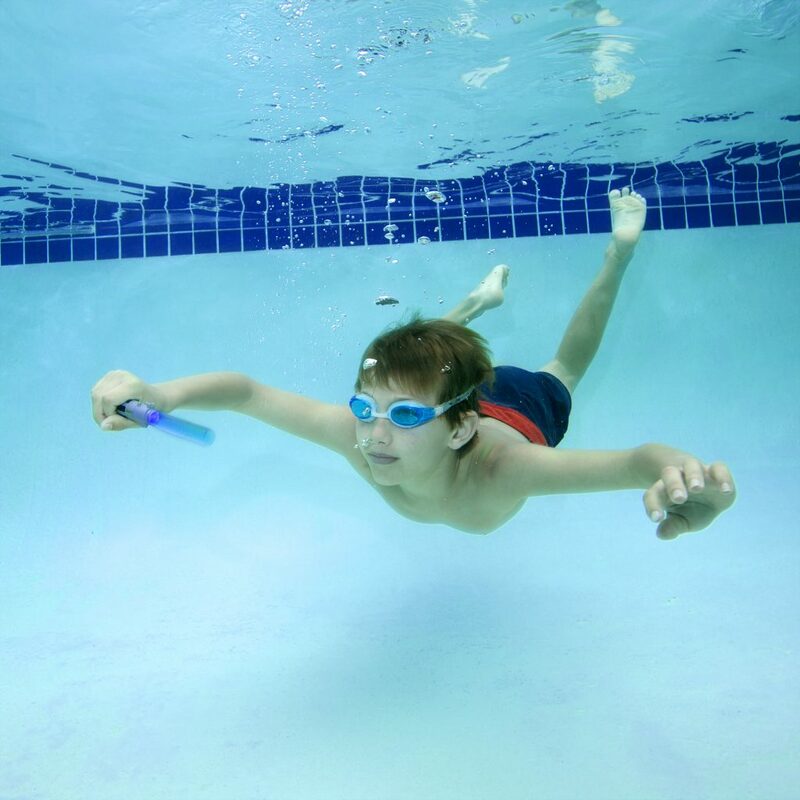 Allow your guests the opportunity to go in the pool (if they prefer) during the tournament. 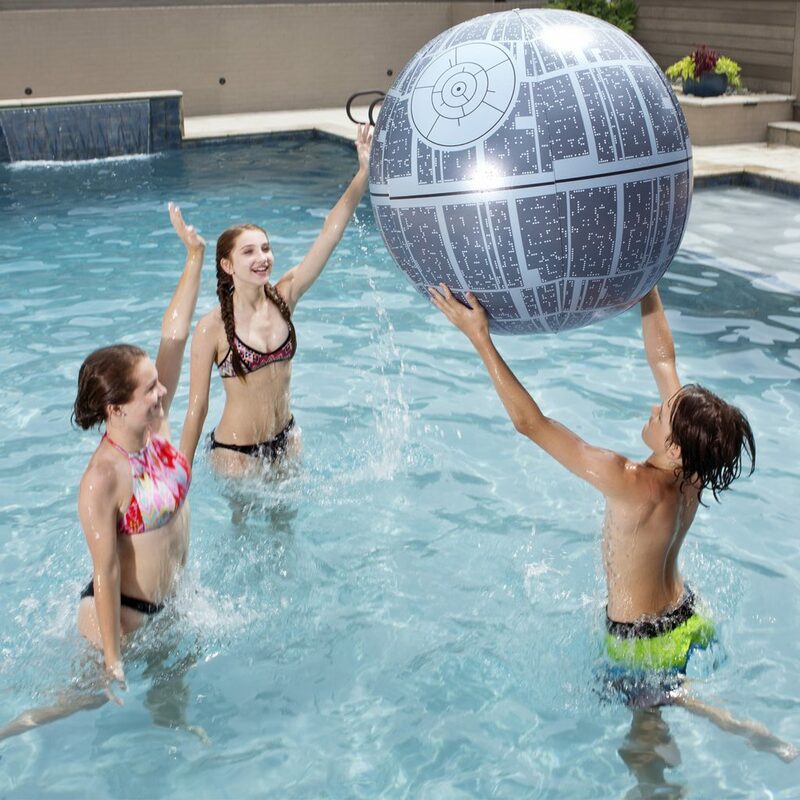 Whether your guests prefer to relax or play in the pool, kids and adults will have a blast with these Star Wars pool items! The Oversized BB-8 Inflatable Float AND Millenium Falcon Ride-On are enjoyable for guests big or small (ages 5+)! Take some great, shareable pictures and enjoy some relaxation as you or your guests float around the pool. 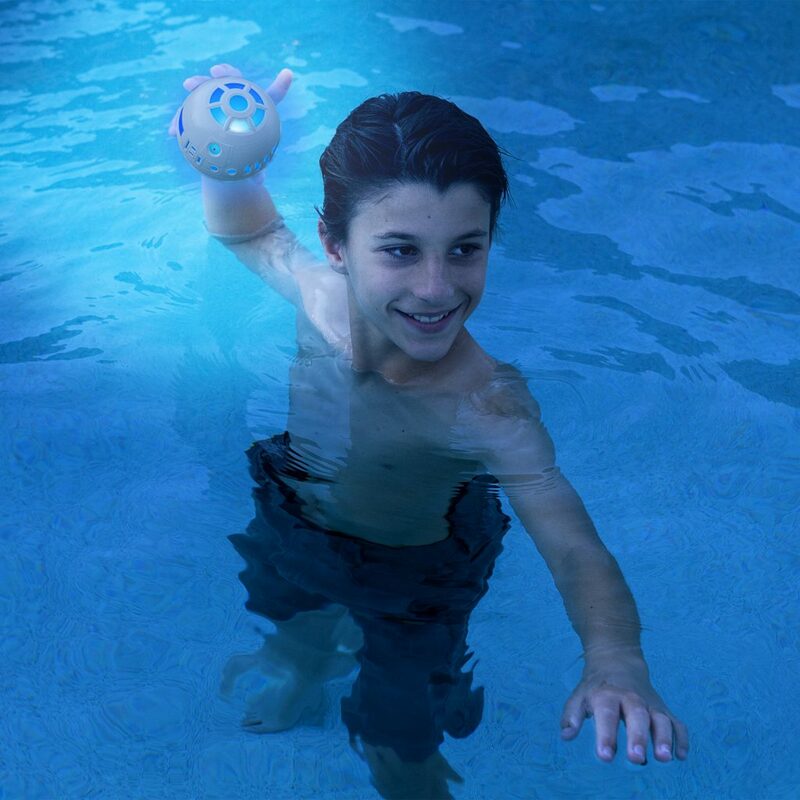 Keep the kids busy with the Lightsaber Dive Sticks, Dive Rings, and Light-Up Hydro Ball! Between swimming after the dive sticks/rings, the inevitable Lightsaber Dive Stick duels, and bouncing the ball across the water, they should stay quite preoccupied throughout the afternoon! 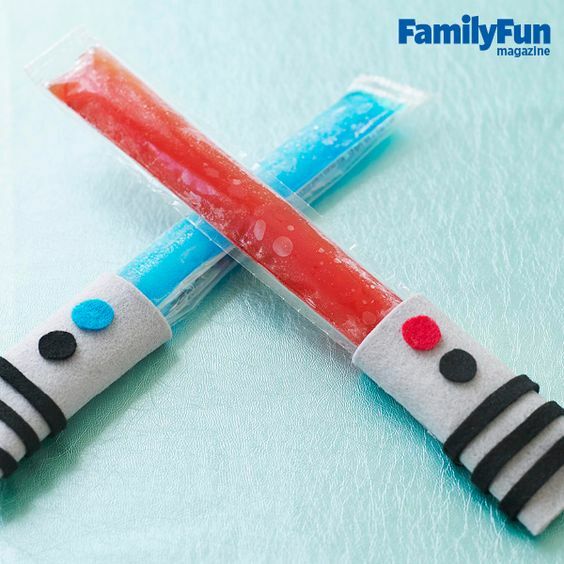 Then for dessert you can plan something super simple like these clever Lightsaber popsicles! Creating these felt popsicle cozies even offers the added bonus of keeping fingers from freezing while eating this nostalgic snack! Keep the party going with the Death Star Light-Up Beach Ball OR the XXL Light-UP Beach Ball! 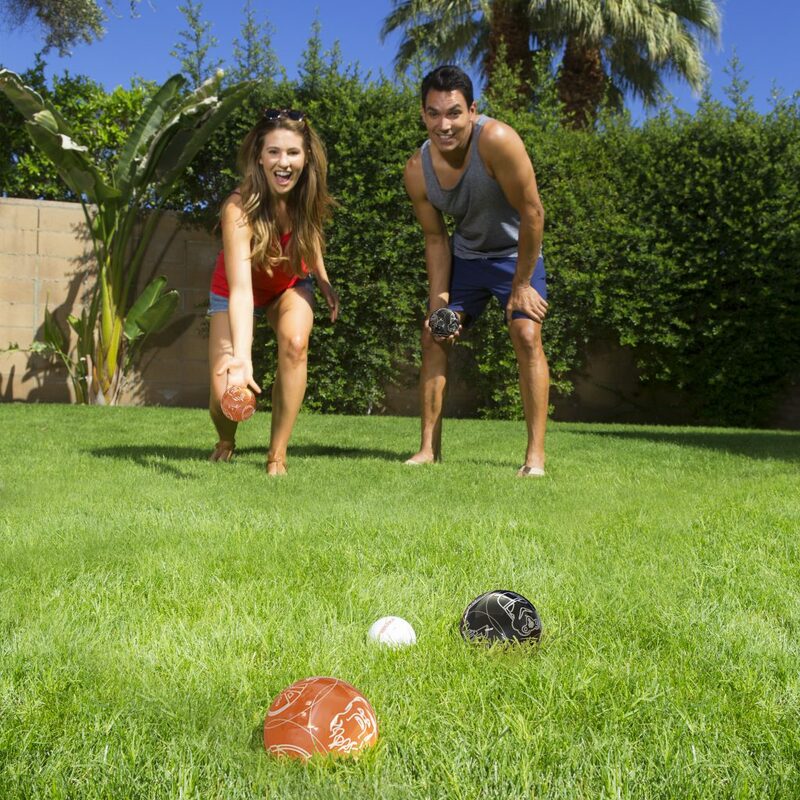 Hook up a pool volleyball net, pick teams and enjoy tossing the beach ball around as it lights up! 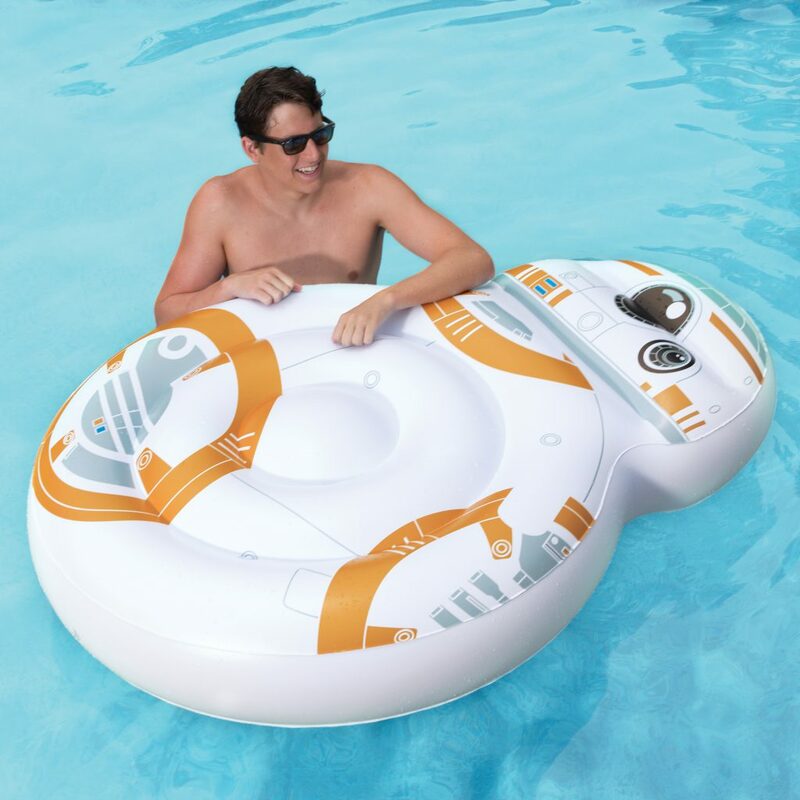 And there’s your complete guide to a Star Wars pool party your family and friends will LOVE! 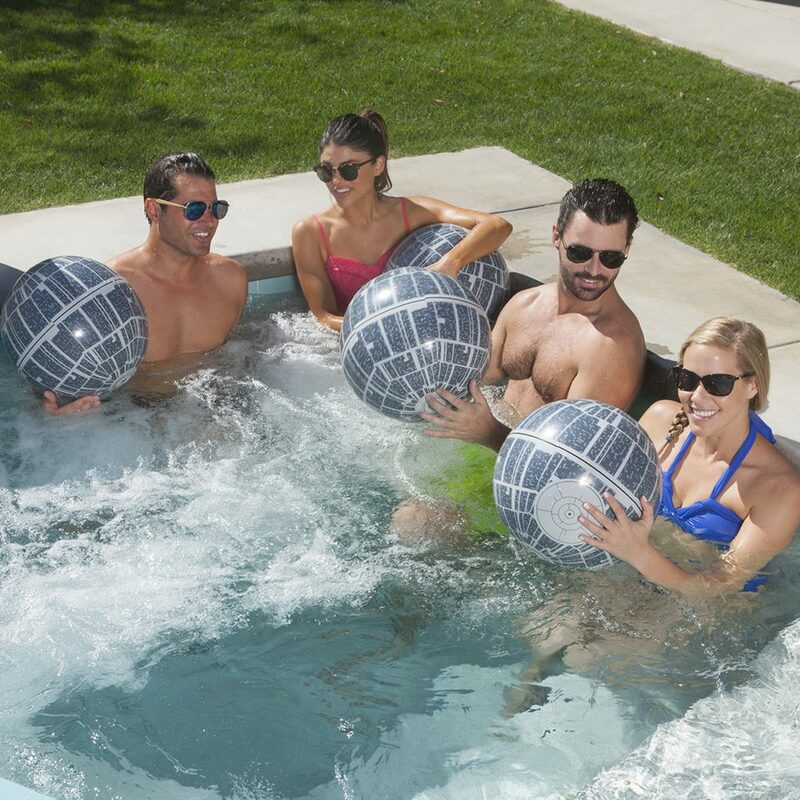 Be sure to enter our Star Wars May the 4th Facebook giveaway contest to win some of these awesome Star Wars pool items and get you started on your own Star Wars pool party! The winner will receive a BB-8 Oversized Inflatable Float, Star Wars Light-up Beach Ball, and a set of Star Wars Lightsaber Dive Sticks! Head over to our official Facebook page to find out how to enter! Please read the official rules before entering!